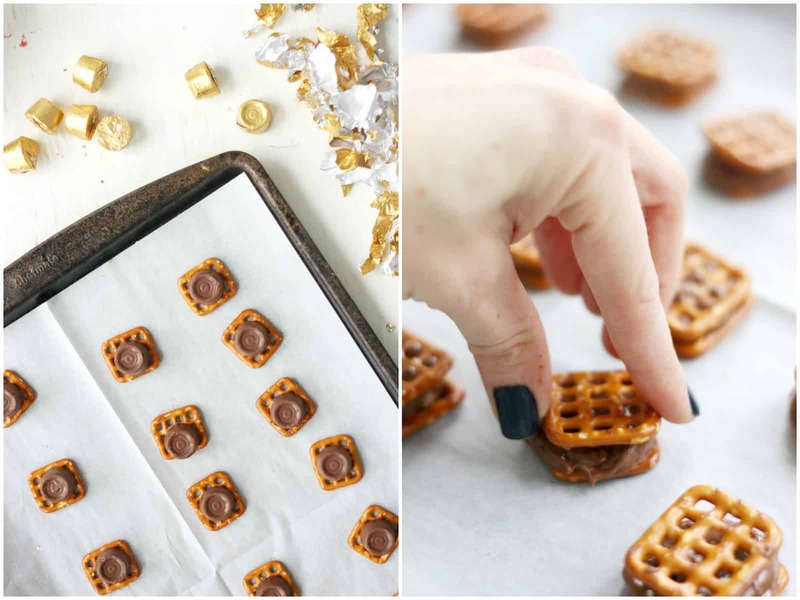 Rolo pretzels are easy to make! 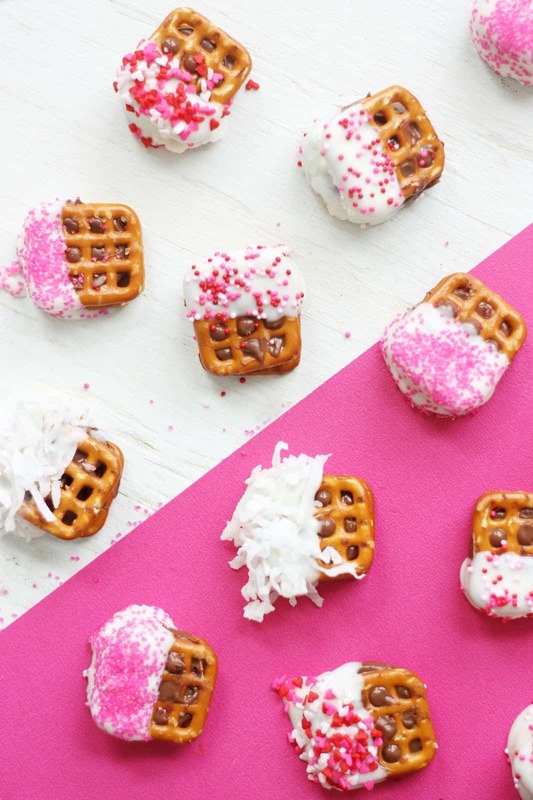 These Rolo turtles have a Valentines twist, dipped in white chocolate with pretty pink and white sprinkle touches. 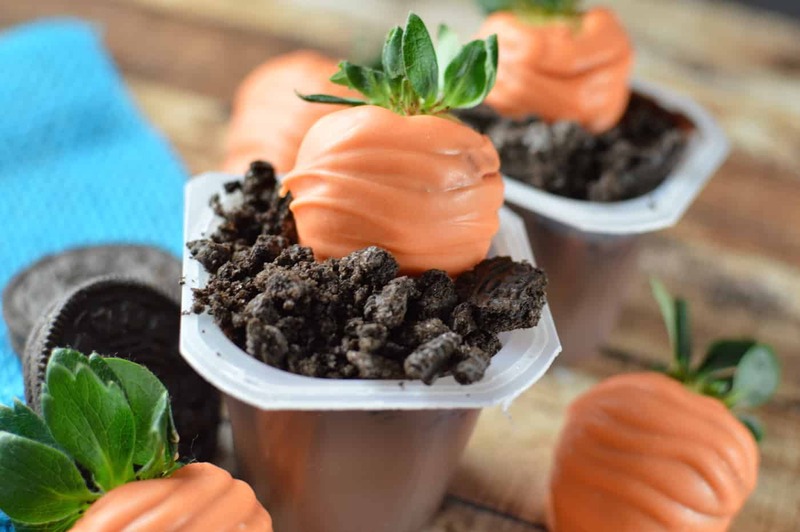 You can make them for any occasion or holiday. The last couple of days my toddlers have been sick and keeping locked up at home while I tend to the ill. As a result, this morning I work up with a major bout of cabin fever which caused me to head straight to the kitchen and get out the sprinkles. 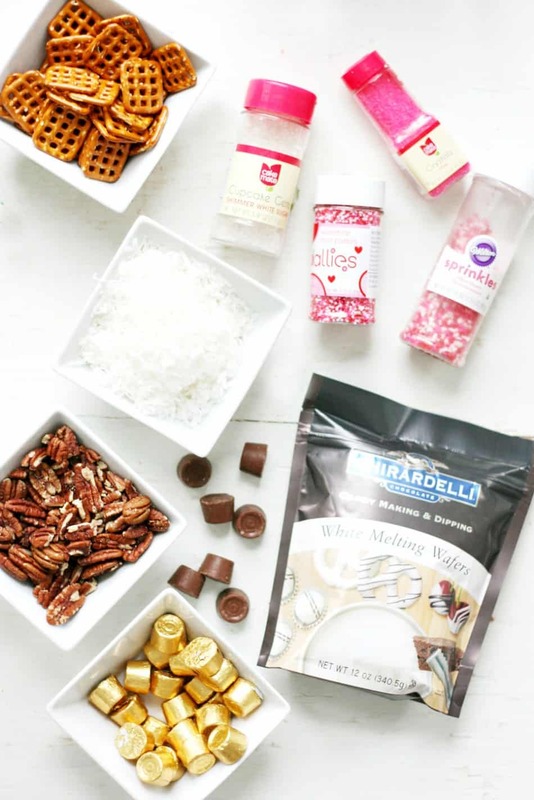 Sprinkles are a sure-fire mood booster. Trust me. I pretty much have a PhD in colorful sugary things. To help cure my sick-toddler-blues, I decided to make a little treat for Valentine’s Day, since it’s right around the corner. Valentine’s Day happens to be my favorite holiday to get crazy in the kitchen. I love making these Rolo pretzel turtles because they are so easy and delicious. 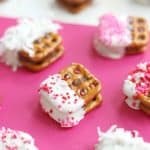 This time I decided my Rolo turtles a Valentines twist, dipping them in white chocolate and adding some pretty pink and white touches. Preheat the oven to 250°F. Place square pretzels on a baking sheet lined with parchment or foil. Place the baking sheet in the preheated oven and bake 3 minutes, until the Rolos have softened. Remove from the oven and place a pecan halve and square pretzel on top of each Rolo to form a sandwich. Let cool completely. 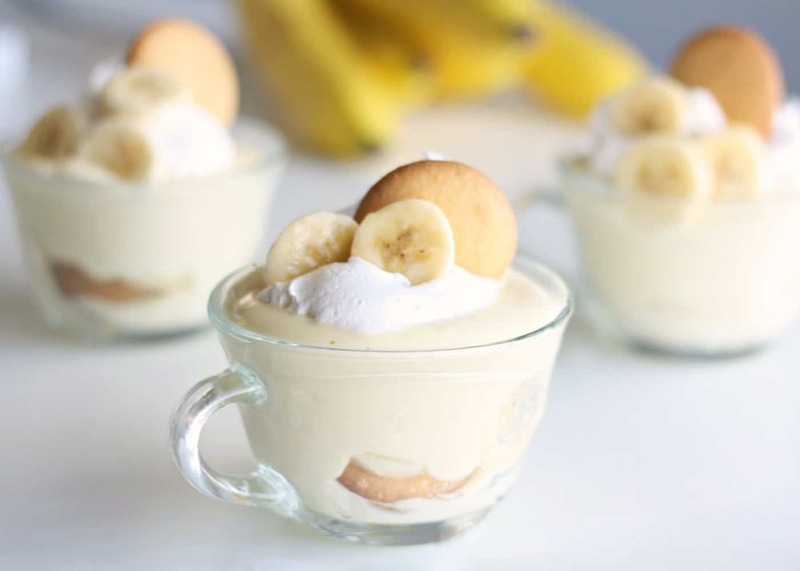 Add the melting wafers to a microwave safe bowl. Heat for 1 minute at 50% power, then stir. Continue to heat at 30 second intervals, stirring in between, until melted. Dip one half of your Rolo turtles into the melted chocolate. Allow the excess chocolate to run off, then return to the baking sheet. 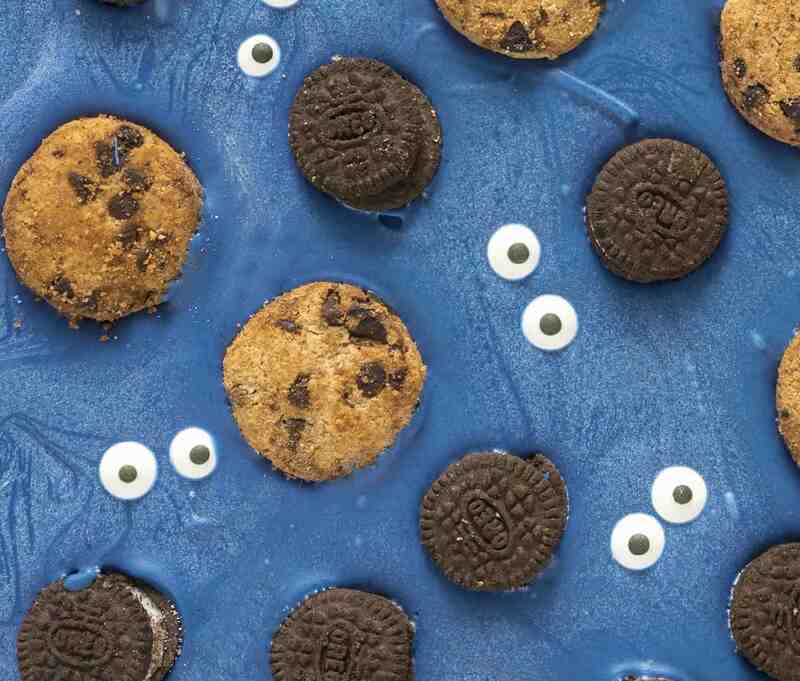 Sprinkle with sprinkles and coconut. Allow to cool completely before serving. So cute, right? Valentine colors are my absolute favorite and turn everything they touch to darling. Plus, tiny hearts? Sign me up. 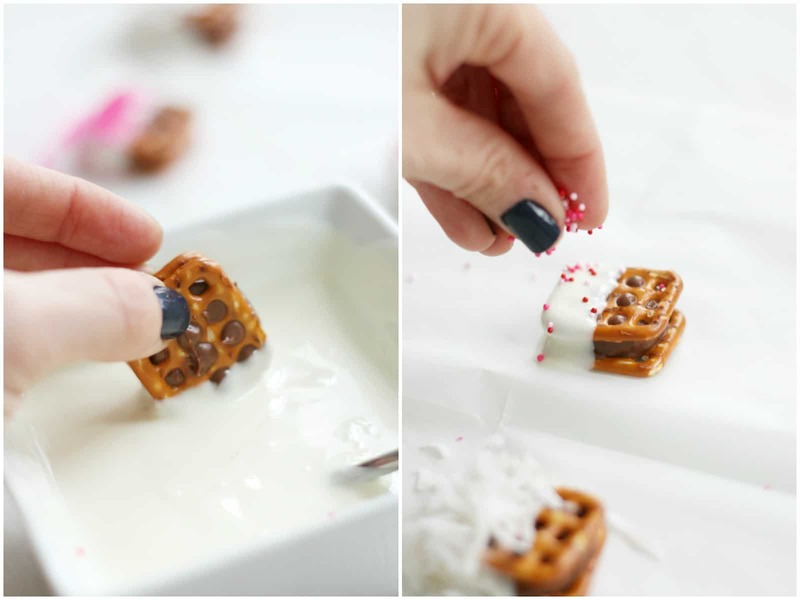 Rolo pretzels are easy to make! 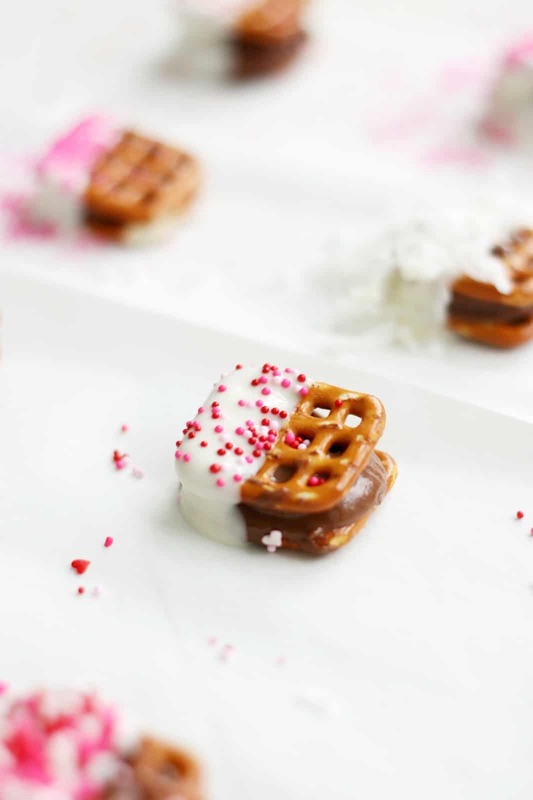 These Rolo turtles have a Valentines twist, dipped in white chocolate with pretty pink and white sprinkle touches. Dip one half of each pretzel sandwich into the melted chocolate. Allow the excess chocolate to run off, then return to the baking sheet. 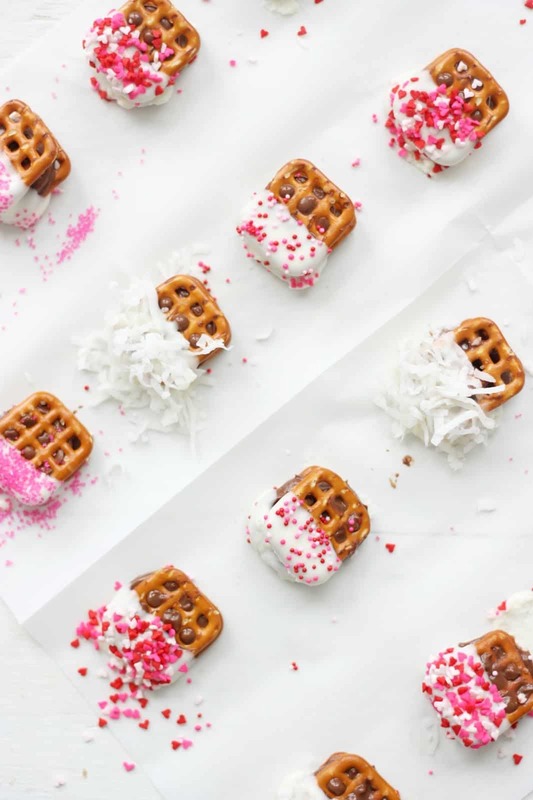 Sprinkle with sprinkles and coconut. Allow to cool completely before serving. 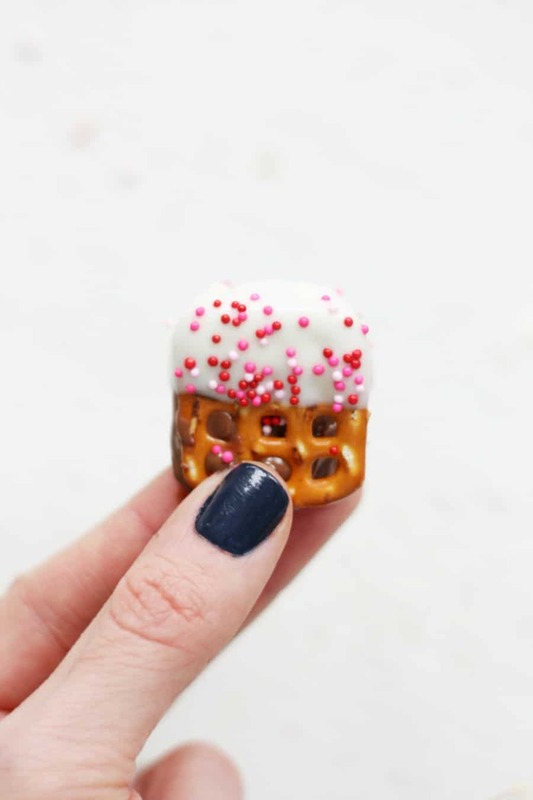 The beauty of this Rolo pretzels recipe? They are simple to make with a big payoff. 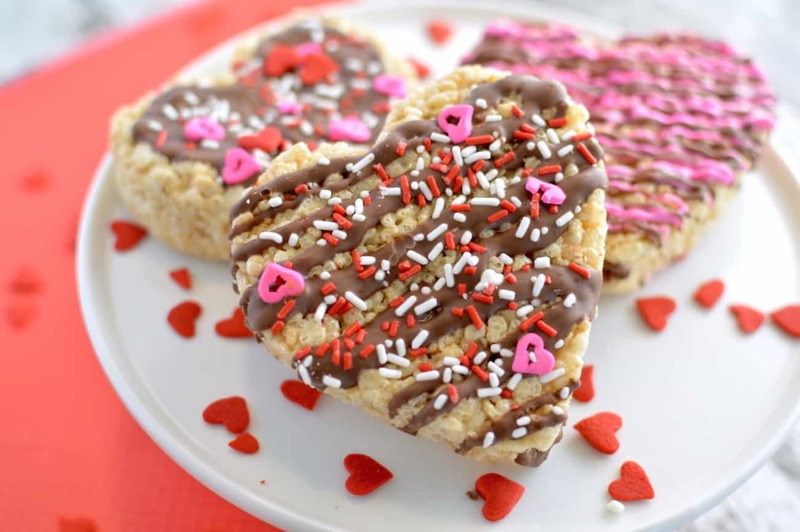 Pretty, yummy and perfect for giving to the loves of your life for V-day without breaking a sweat in the kitchen. 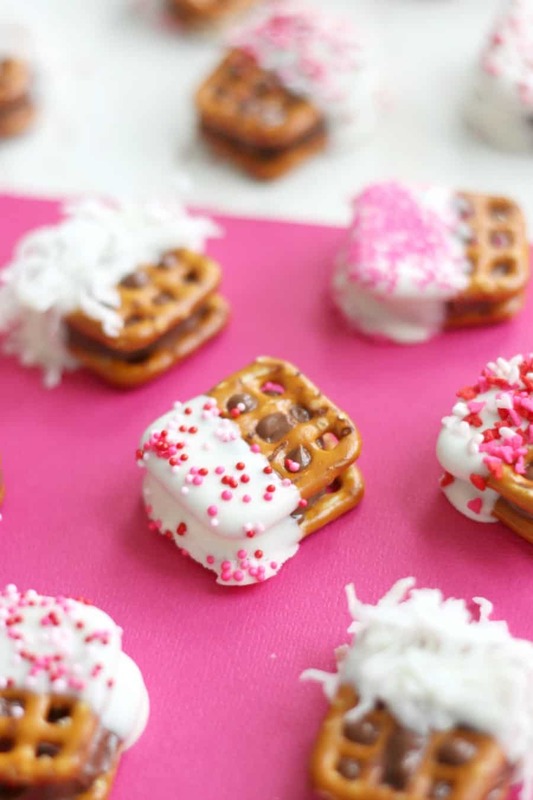 Rolo pretzel turtles, be my Valentine, please! These rolos are so cute! You ladies did an awesome job!